● What is credit? Credit is the ability to borrow money from the bank with the promise to pay it back. ● What are the forms of credit? Personal loans and credit cards. ● What costs are associated with credit? Credit is not free because it has an APR or an annual percentage rate that adds onto the cost of the borrowed money. ● What determines if someone gets credit and how much they get? The person's credit worthiness is determined by their credit score which determines how much money they can borrow from a lender. A persons credit score is determined by their ability to pay off items bought with a credit card.The persons credit score is determined by a credit bureau in their credit report. 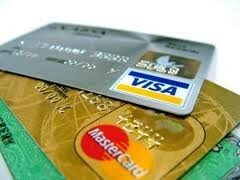 A credit card is a piece of plastic that you can use to buy products and services with borrowed money. Money that you spend with a credit card isn't free, you will have to pay back the money with interest. A personal loan is money that you borrow to pay for something that you don't have enough money to pay for. Personal loans accrue interest and you will have to pay the original price plus the interest. A persons credit score is a representation of how responsible they are with their money and if they have the ability to pay off the loaned money. ● What is a credit card? A credit card is a piece of plastic that you can use to buy products and services with borrowed money. Money that you spend with a credit card isn't free, you will have to pay back the money with interest. ● What are the benefits and costs of using credit cards? The benifits of a credit card is being able to but stuff without having to always carry around cash, it is also good to have for large purchases, and it is also one of the few ways to purchase stuff online. The costs is that everything you buy has APR Interest added onto it and also has a credit limit, and it is also penalty fees like over-the-limit fee. 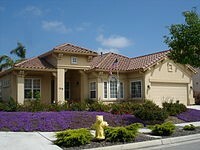 There is also annual fees that are assosiated with credit cards. Smart consumers: Don't fall into the credit card trap!